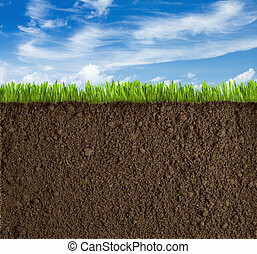 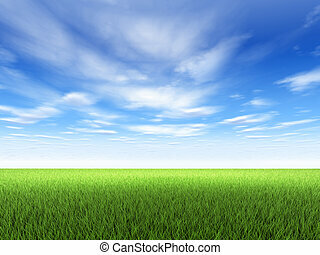 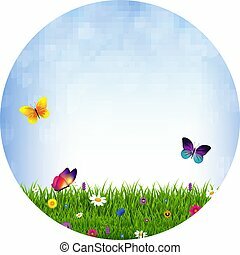 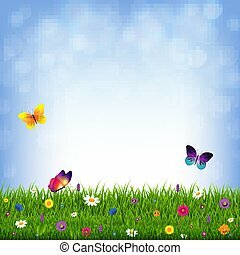 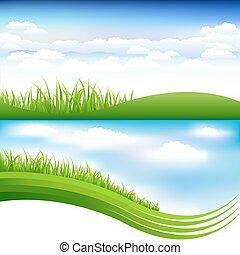 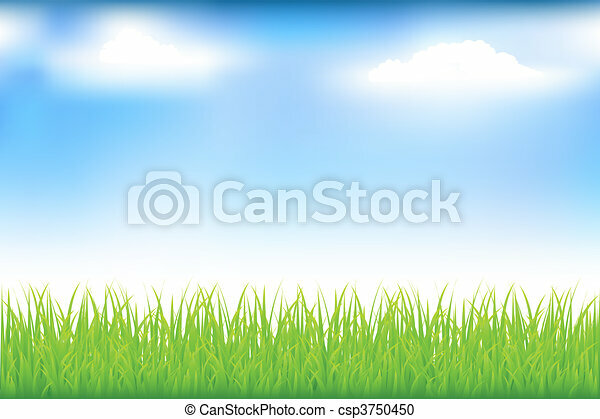 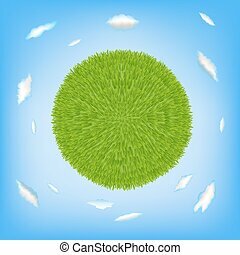 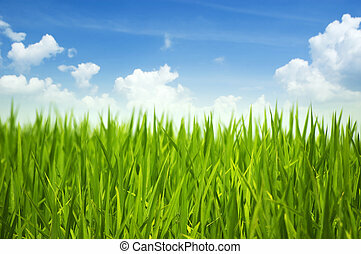 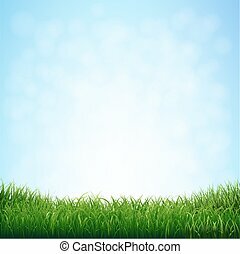 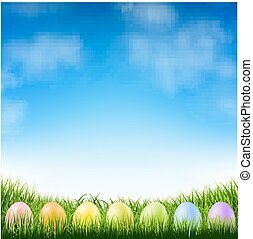 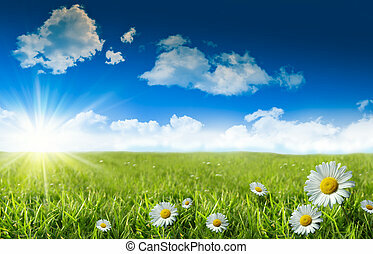 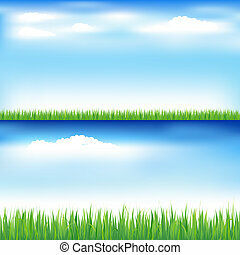 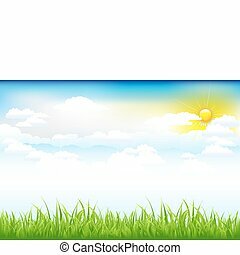 Green grass and blue sky with clouds. 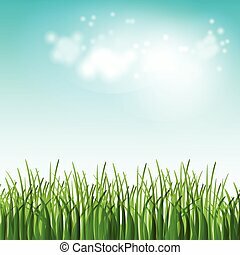 Green grass and sky in a morning. 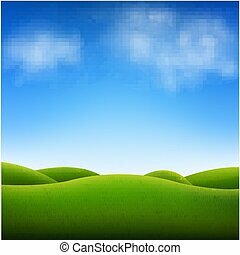 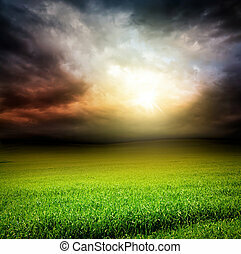 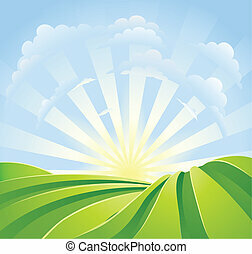 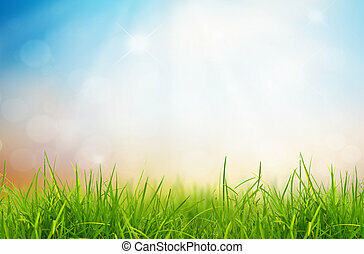 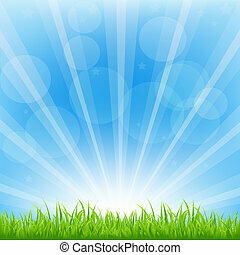 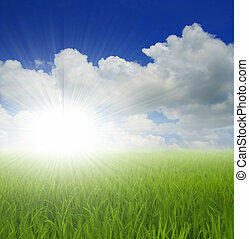 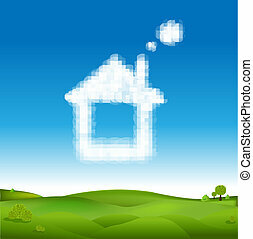 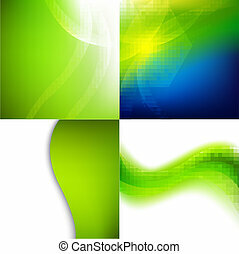 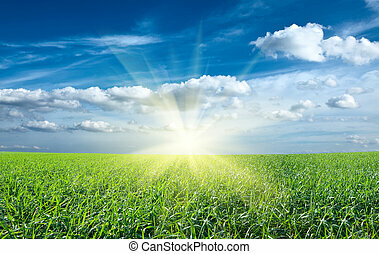 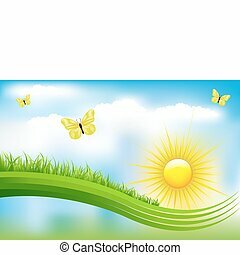 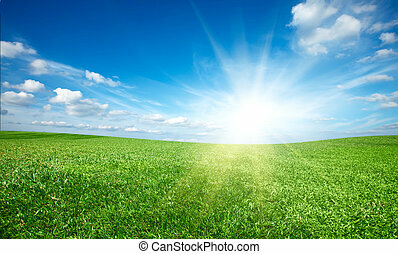 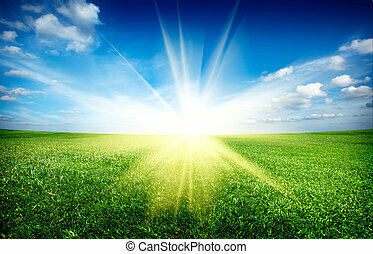 Illustration of idyllic green fields with sunshine rays and blue sky. 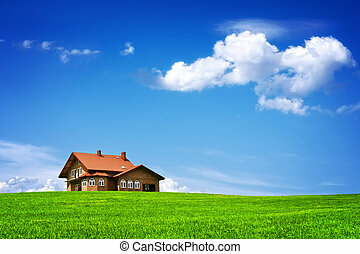 A perfect landscape scene. 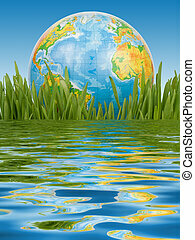 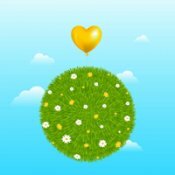 The globe in a green grass on a blue background with reflexion in a water.